Thanks to widespread use of the Pap smear, death rates from cervical cancer have been cut by more than half over the last 30 years. Now, researchers say incorporating a different test could save even more lives. CBS News Medical Correspondent Dr. Jennifer Ashton, a practicing OB-GYN, explained the two tests on "The Early Show.". "We're talking here about the difference between a Pap smear, which is the widespread means to screen for cervical cancer. That test looks at the actual cells from the cervix to see if they are becoming abnormal and an HPV test, which is a DNA test, to detect the presence of the human papillomavirus or HPV. The vast majority of cervical cancers are caused by the sexually transmitted disease HPV, Ashton said. "The good news is, most people who are exposed to HPV clear this virus on its own, and by the age of 50, over 50 percent of women have been exposed to HPV. This is incredibly widespread," she said. "Early Show" co-anchor Erica Hill observed the HPV test sounds like it's far more accurate. Does that mean the Pap smear is not necessary anymore? Ashton said that's a "brewing controversy" in the medical community. Experts, she said, have known "for some time" that the HPV DNA test is actually superior to the Pap smear test. "It does not mean that women do not need to go to their gynecologist. We have to make that crystal clear," she said. "But, in fact, this particular latest study (that will be presented at an annual cancer conference) looked at over 300,000 women. (They) really found that (in) those who were at high risk of developing cervical cancer, the HPV test was superior to the Pap smear, especially in predicting which women may progress to develop cervical cancer in the next five years." 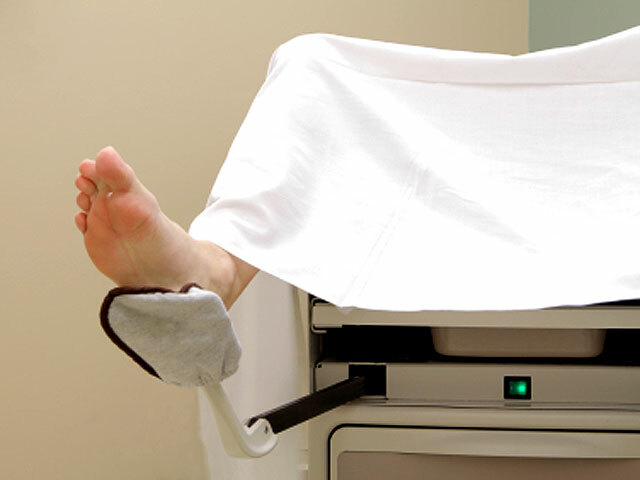 Guidelines for Pap smear tests have been evolving in recent years, Ashton said. "They are variable and different for every woman based on their age group and whether or not they're pregnant, if they have any weakened immune system or medical problems," she said. First pap smear: Age 21 - "Not before. You have no idea how many patients I see who get pap smears before then. It is wrong. It is not the national guidelines." Women age 21 to 29: "They can have pap smears every two years, providing that their pap smears have been normal. Women over 30: "(They) need to get a pap smear, and really should get this HPV test every three years - again, with the proviso that all of their pap smears in the past have been normal." To cut your risk of cervical cancer, Ashton recommended limiting your number of lifetime sexual partners, getting vaccinated if the appropriate age, avoiding smoking and seeing your gynecologist regularly. She said, "This is something that you can have a major impact on in terms of your environmental and behavioral factors."